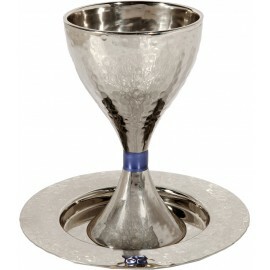 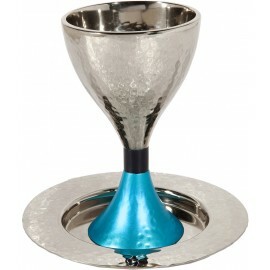 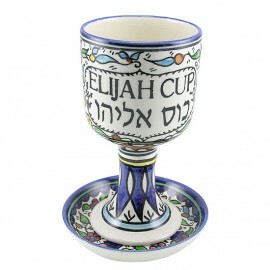 Elijah Cup is the fifth ceremonial cup of wine poured during the family Seder dinner on Passover (Pesah). 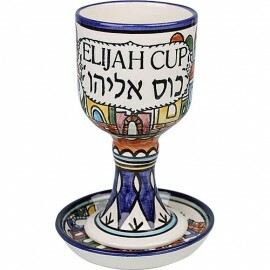 It is left untouched in honour of Elijah, who, according to tradition, will arrive one day as an unknown guest to herald the advent of the Messiah. 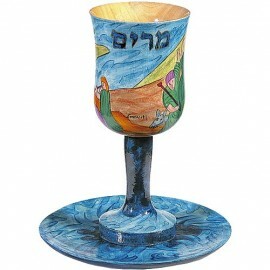 During the Seder dinner, biblical verses are read while the door is briefly opened to welcome Elijah.